A really fine cast of this classical revival piece, originally carved in marble, standing 1.6 metres high the original version was purchased by the Duke of Westminster and is still in the family collection. 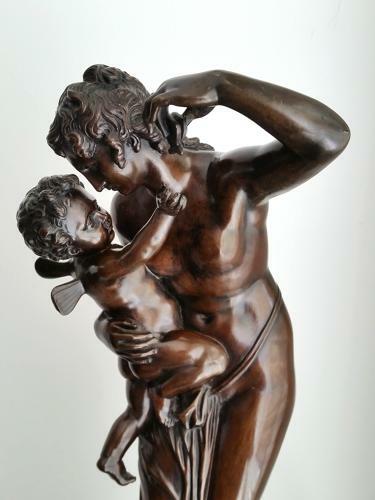 A reduced bronze version, 40cm high, was cast in the 1840's for the Art Union, possibly around thirty examples. The Hatfields foundry was responsible for many of the Art Union castings and it is likely that they would have retained the plaster from which this cast was made in the late 19th century.